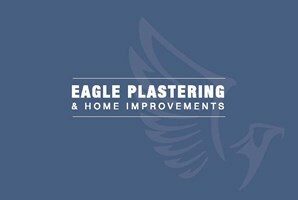 Eagle Plastering & Home Improvements Ltd - Builder based in Checkendon, Berkshire. Actual getting his hands dirty for once! He needs a large appetite to keep his strength up! After me spending half an hour looking for this vent adaptor, Brian finds it in 30 seconds. As you can see, he's mightily chuffed about it!